Amy Chua is the John M. Duff Professor of Law at Yale Law School. Her most recent book (co-authored with Jed Rubenfeld) is The Triple Package: How Three Unlikely Traits Explain the Rise and Fall of Cultural Groups in America, published in February 2014 by The Penguin Press. Chua's first book, World on Fire, was a New York Times bestseller and selected by The Economist as one of the best books of 2003; while her second book, Day of Empire, was a critically acclaimed Foreign Affairs bestseller. Chua lives with her husband, two daughters, and two Samoyeds in New Haven, Connecticut. 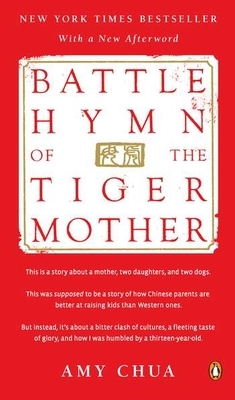 In the beginning of her book Chua describes her daughters Sophia and Lulu’s personalities from birth. In what ways are they inherently different from one another? Chua identifies herself with her Chinese zodiac sign, the tiger. How does she exemplify its characteristics? Are there any ways in which she might defy those characteristics? Can you relate to your own zodiac sign? What role does music play in Chua’s life as compared to her children’s lives? And does music play such an important role in your own life? How is Lulu and Sophia’s childhood different from their mother’s, as Chua describes them? Do you see similarities and differences in your own childhood? Never a pet lover, Chua reluctantly ends up raising two dogs, Coco and Pushkin. How do the dogs change her, and what does she learn from them? What do you think about Chua’s relationship with her younger daughter, Lulu? How do they push each other’s buttons? Chua only intermittently discusses her husband’s opinions, but mostly keeps him out of her memoir. What can you glean about him from these pages? If you could ask Chua one question, what would it be? At the end of the book Chua expresses some regrets about her choices. What does she regret and how do you imagine she might do things differently, given the chance?